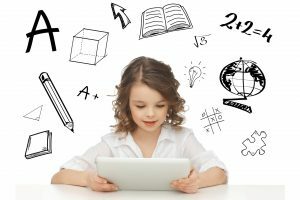 The amount of content you are presented with in college can be quite overwhelming, which is why many students soon realize that the note taking and learning system they used during high school (if they had a real system at all) just doesn’t suffice anymore. 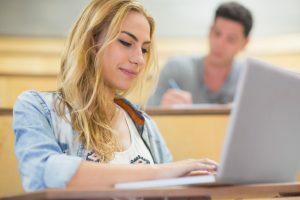 In this article we’ll explore 9 ways that’ll help you stay organized at college using MindMeister, an online mind mapping software that is already widely used by both teachers and students in higher education. 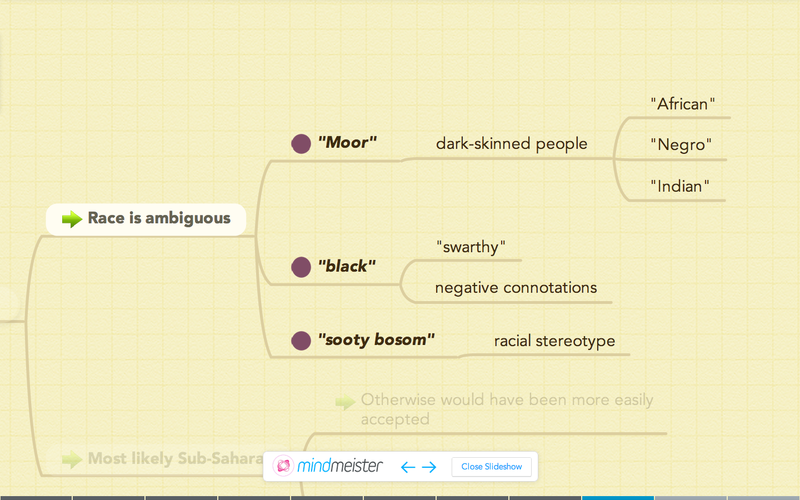 MindMeister is a web-based software that lets you create and store mind maps in an online account. Mind maps enable you to take more effective notes in class, brainstorm and outline essays, create engaging presentations quickly, and most importantly memorize information long-term. 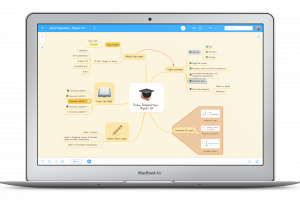 Alright, now that we know what MindMeister is, let’s explore how you can use it to stay organized at college or university! 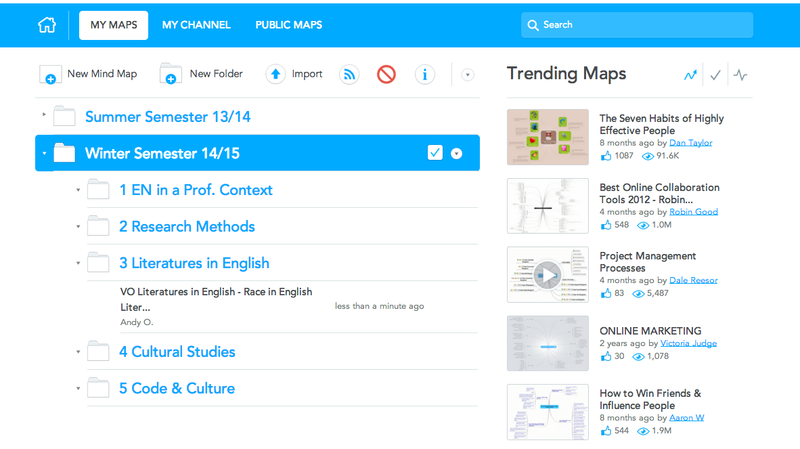 Create a folder structure in MindMeister that mirrors your courses in their order of importance. Seminars go first, then come lectures, and electives go last. MindMeister orders everything alphabetically by default, but you can simply put numbers at the beginning of your folder names to override this behavior. 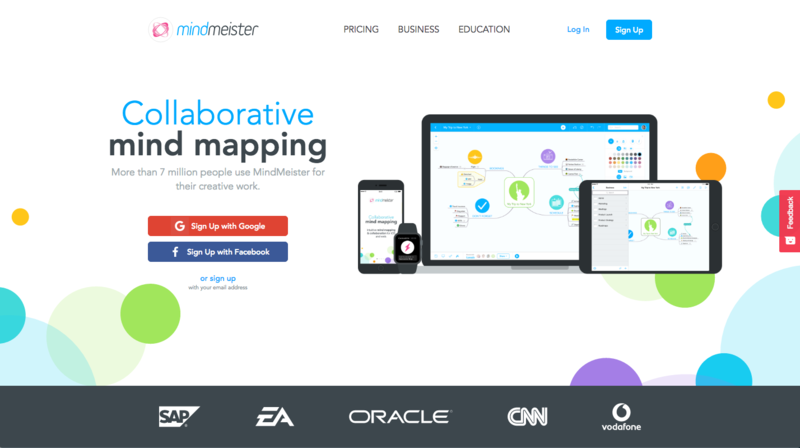 Here’s what such a mind map could look like – click on the button next to the MindMeister logo to view the map in full-screen! Open your index map, look for the respective title in the reading list and select “Create as Map” from the context menu. This creates a link from the topic in your index map to the new map, where you can then proceed to take notes while reading. This is a great way to improve reading comprehension and to summarize important information from the book that you will need to remember for the exam. Open your index map and go to the branch called “Course topics” which you’ve created in the first sitting. Look for the topic that will be discussed that day and select “Create as Map”. In this new map you can now take notes just like you would otherwise do in a Word document or paper note book. However, once you’ve got the hang of mind mapping, you’ll notice that it’s much faster and more intuitive than linear note taking (Be sure to read our article about the benefits of note taking in mind maps!). You can quickly jump around and add information anywhere on the map. You can also attach files or links to the topics and add icons, arrows and colors that improve your overview. 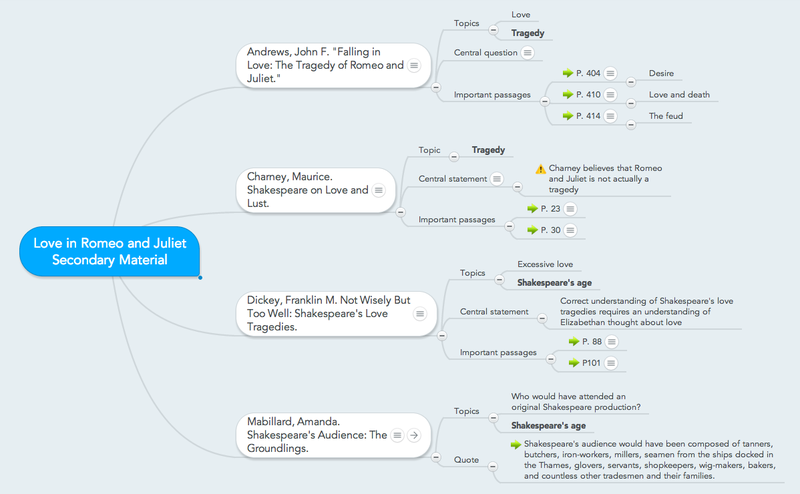 Create a new mind map to brainstorm the topic and content of the paper. Once you have a good idea of what you will be writing about, start with the research. Take notes from the books and other materials you read in a mind map and always write down the source in the notes section so you can quickly find it again if you have to. The map format lets you structure your findings and provides you with a good overview. 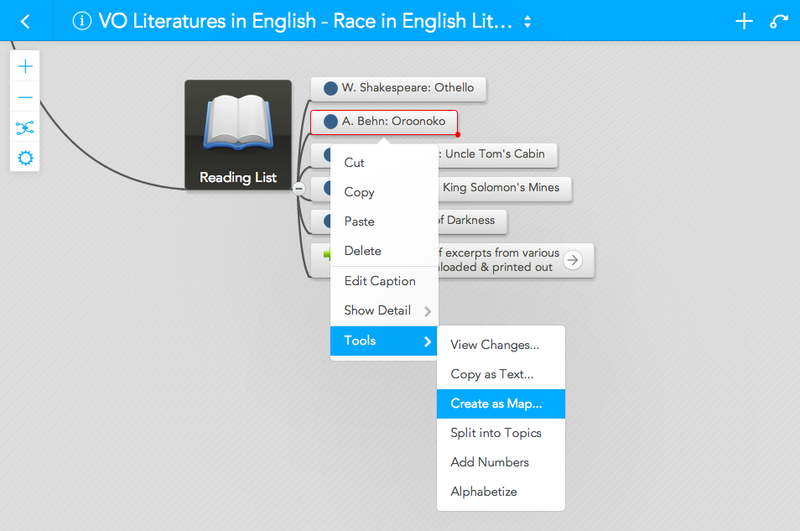 When you’re done, create a text outline in a new mind map, which you can export into a Word document. This is where the actual writing process should take place. Be sure to check out our article about how to plan and outline your essays with mind maps! 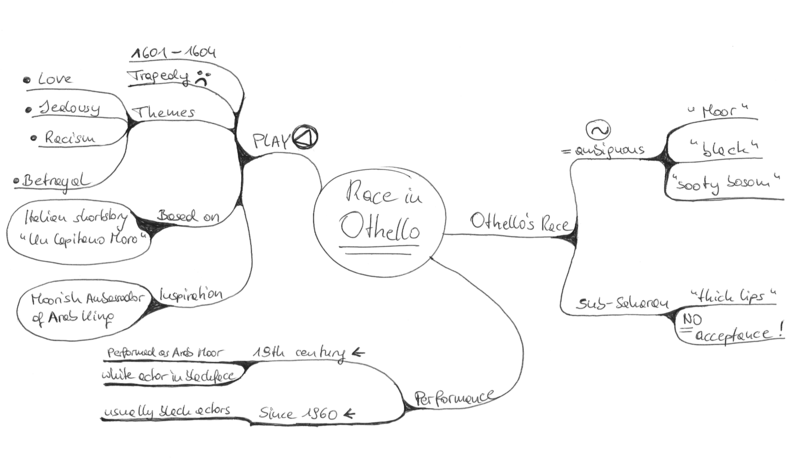 Start by creating a new mind map to gather all the material – ideas, keywords, images, links, graphics etc. Once I have everything I need in there, I start moving things around to create a proper structure. I add icons and colors to make it look nice and then open presentation mode to create my slides. At university I simply connect the projector at the front of the classroom to my laptop and start the presentation. Create a new subfolder for the project inside the class’s designated folder. Create a new mind map inside this folder and share it with all your team members, using a secure link. This way, all of them can access the map, even if they don’t have a MindMeister account. 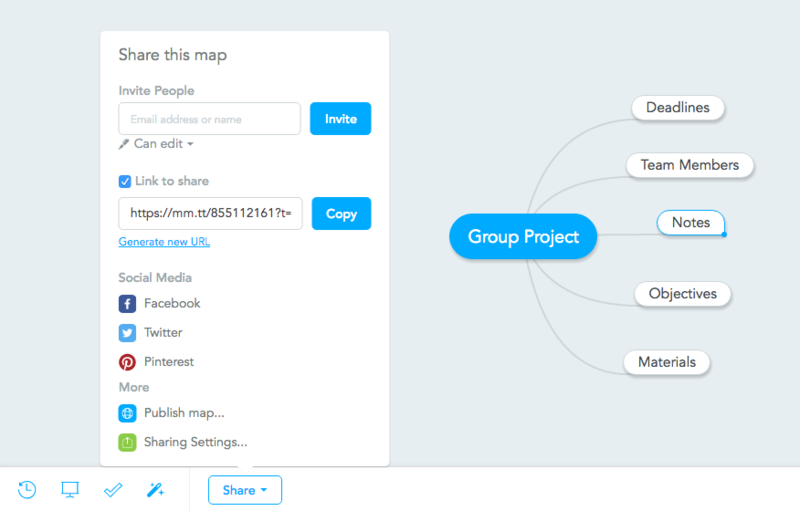 Use this map to note down all the details of the project and assign tasks to everyone. If you connect your MindMeister account to your Google Calendar, you can see all your deadlines in there as well. Revise the material – like everybody else. But unlike most of your colleagues, you won’t have 3 books, two scripts, 60 pages of scattered study notes and the professor’s PowerPoint slides to go through. All you will have to revise are your mind maps. Use shortcuts to quickly open and close branches and quiz yourself this way. Revise the material in the mind maps using your tablet or smartphone while you’re in the subway or having a coffee between classes. 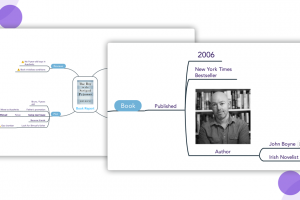 Print out large mind maps using MindMeister’s Multi-Page Printing feature and hang them up in your apartment, above your desk or on your bathroom door. Even a quick glance every once in a while will help you memorize the map and its contents! Try to memorize the structure of the map and then redraw it on a piece of paper to test yourself. If you have trouble remembering a specific piece of information during the exam, this helps you to mentally retrace the map’s structure until you can recall (or stumble upon, so to speak) the information you’re looking for. All you have to do is select the content search option in the MindMeister dashboard and type the keyword into the search bar. The mind map containing the keyword will pop up, even if it’s something you read in a textbook over three years ago. So these are 9 very simple but super effective ways to use MindMeister in order to stay organized throughout your time at college. 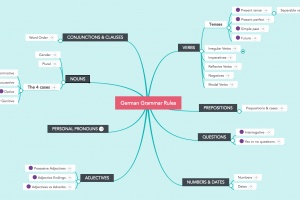 We hope you’ll find these tips useful and give mind mapping a try!